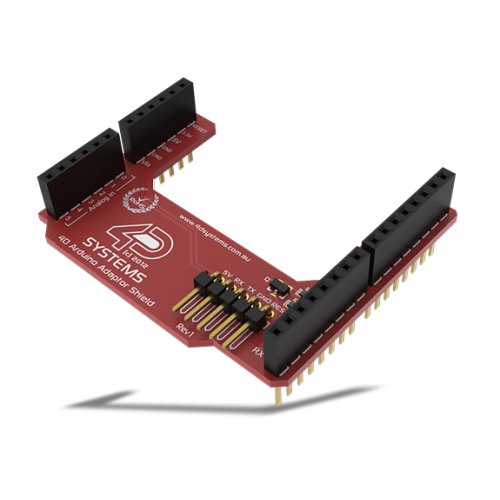 The Arduino Display Module Pack enables an Arduino user to quickly connect the 4D Arduino Adaptor Shield to their Arduino, connect the 5-way cable between the Arduino and the Display Module, and be connected in seconds to start programming their new 4D System Display. 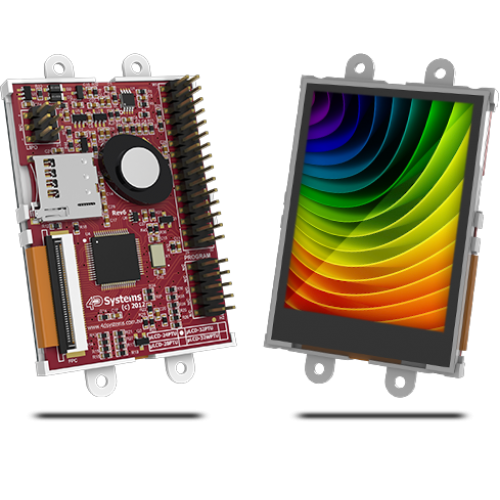 The SK-24PTU-AR customises the uLCD-24PTU 2.4" Display specifically for interfacing with the Arduino, to provide a quick and easy interface without any wiring hassles. Utilises the Arduino's UART Serial Port and a single Digital pin.